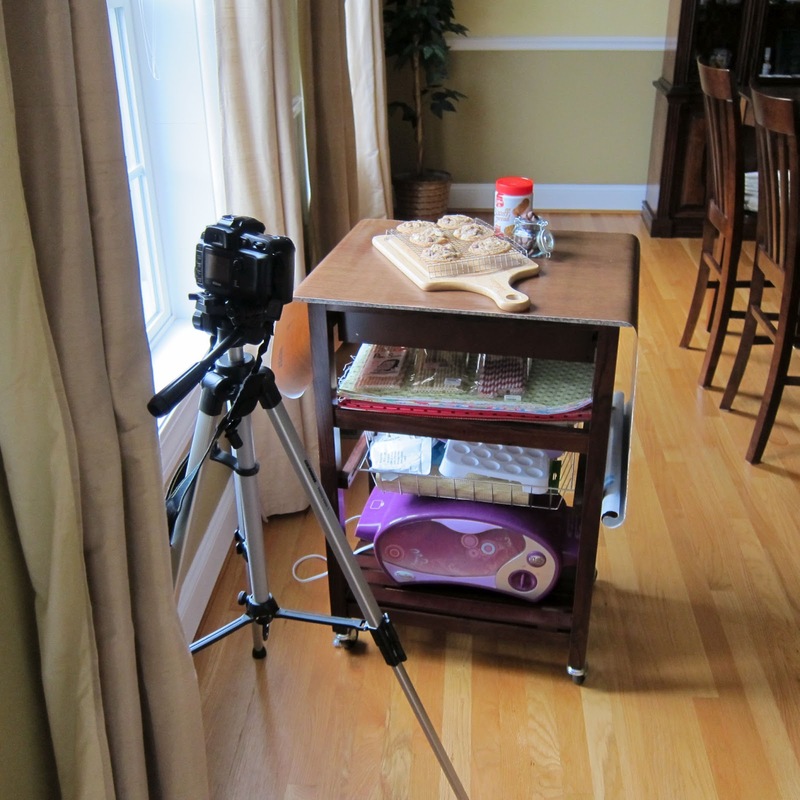 I thought it would be fun to show you all how I go about taking my food photos for this blog. I am by no means an expert on photography, but I have learned some new things over the past year that have helped improve my overall images. 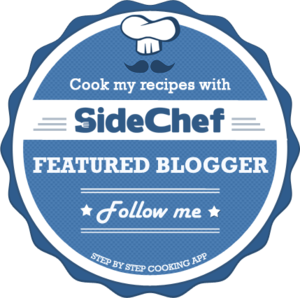 I have been able to get my photos featured on Tastespotting, Foodgawker, and Tasty Kitchen. I am quite pleased with that accomplishment. It means my hard work is paying off. 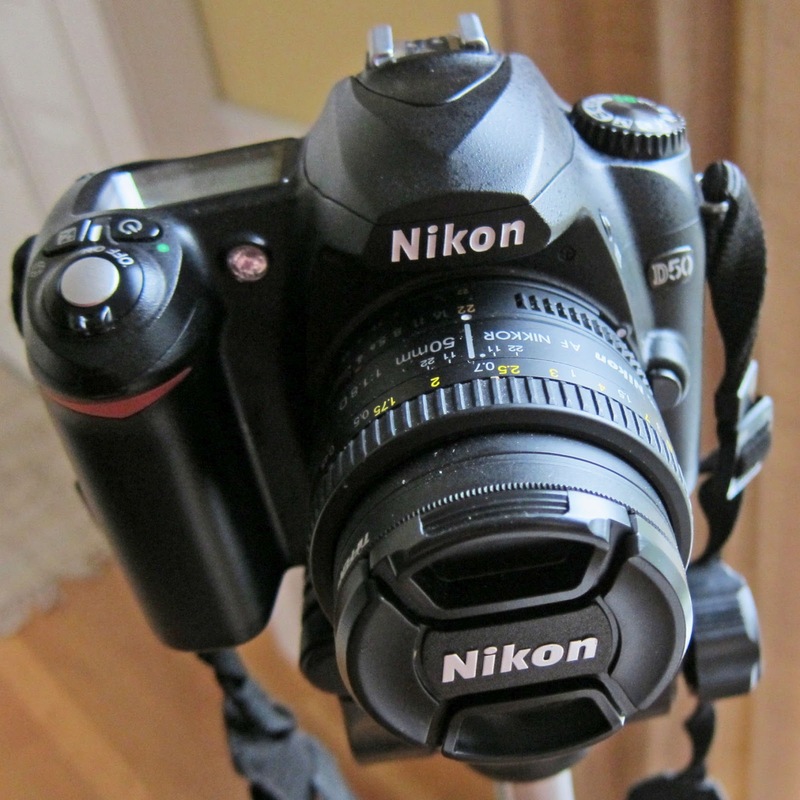 This is my camera, a Nikon d50. 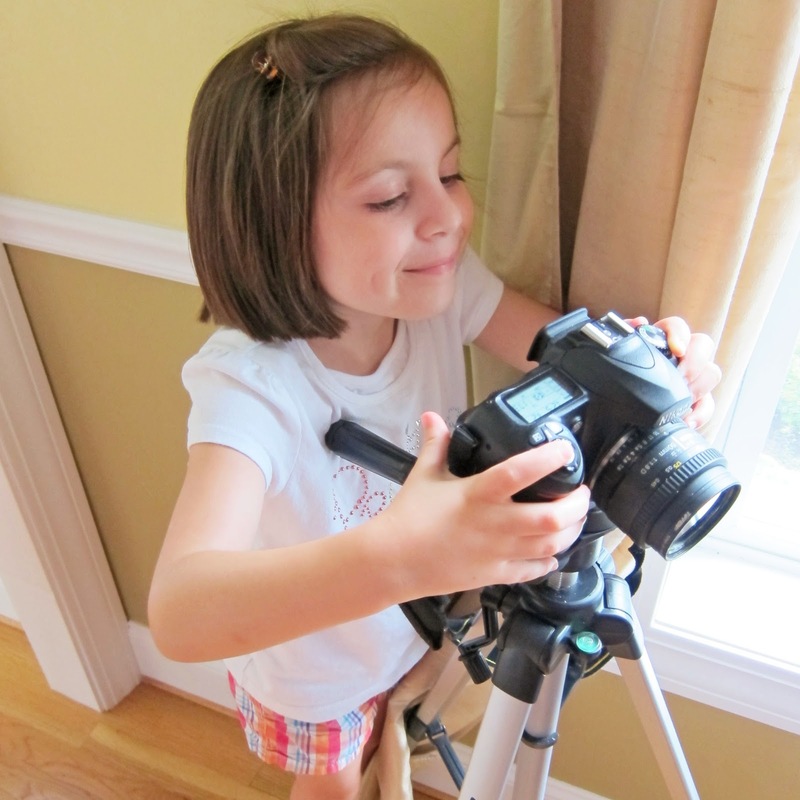 I bought it over six years ago before my daughter was born to take pictures of her. Now it has been re-purposed. This poor camera usually ends up with bits of food on it as I try to take pictures of my treats as I am in the process of making them. Thankfully it has been a good sport. It may be old, but it is still a good camera. I do not have a need to upgrade yet. When I first started this blog I was mostly taking pictures at night when the kids were asleep, so I depended on my flash to brighten things up. I know, shame on me. I have since learned that flash is such a no-no when it comes to food photography. It just makes the food look unreal and unappetizing. Now I wait for the weekend to bake and take pictures during the day, so as to capture all the natural light I can get. 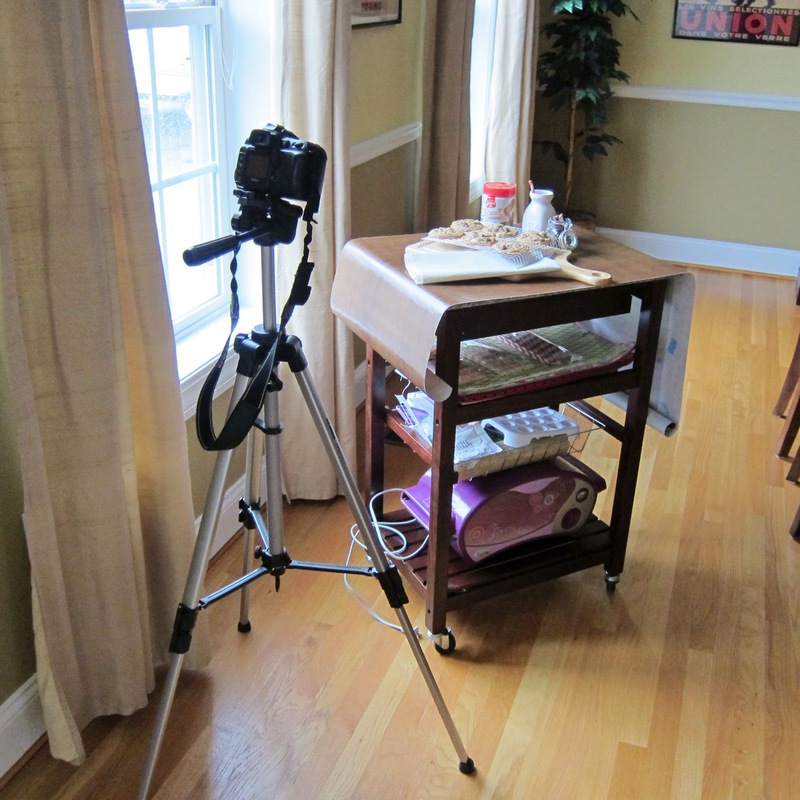 Since my kitchen is not very sunny, I take my pictures in the dining room. I have found that between 2pm and 3pm (Eastern Time Zone) I have the best lighting. Of course, some weekends we have plans and I have to make do with whatever light I can get. The less light, the closer I get to the window. Sometimes I use some white foam boards to bounce light off of. I just prop them up on some chairs next to my table. I don't have any fancy light boxes. I really try to keep equipment down to a minimum. I don't want to clutter my closets anymore than they already are. I bought this kitchen cart at Walmart to use as my "table" for taking my food photos as well as hold some of my props (and now my daughter's Easy Bake Oven). It is just the right size and it is easily moveable. When not in use, it stays in the dining room as a furniture piece. Even though I have had my camera for over six years, until this year, I have never taken it out of "auto" mode. After reading many tutorials online and actually downloading the manual for my camera onto my iPad, I have learned how to use natural light and set my camera properly to achieve better quality photos. I am still learning what all the buttons do. I should probably take a class, but with a full time job and two small kids, that isn't convenient. Plus, I am stubborn by nature, so I like to learn my way. What works best for me is a 50mm lens and the aperture priority auto("A") setting. It gives a nice blur to the background, while keeping the subject in focus. You do have to use a tripod to get crisp, clear photos. I bought mine around the same time I bought my camera. It was not expensive, but it does what I need it to. 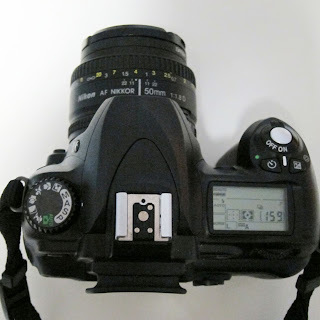 It holds my camera still and I can adjust the height. I like to keep it simple. I still have a lot of learning to do, but I am happy with my progress thus far. I would like to thank my production team for all their help. 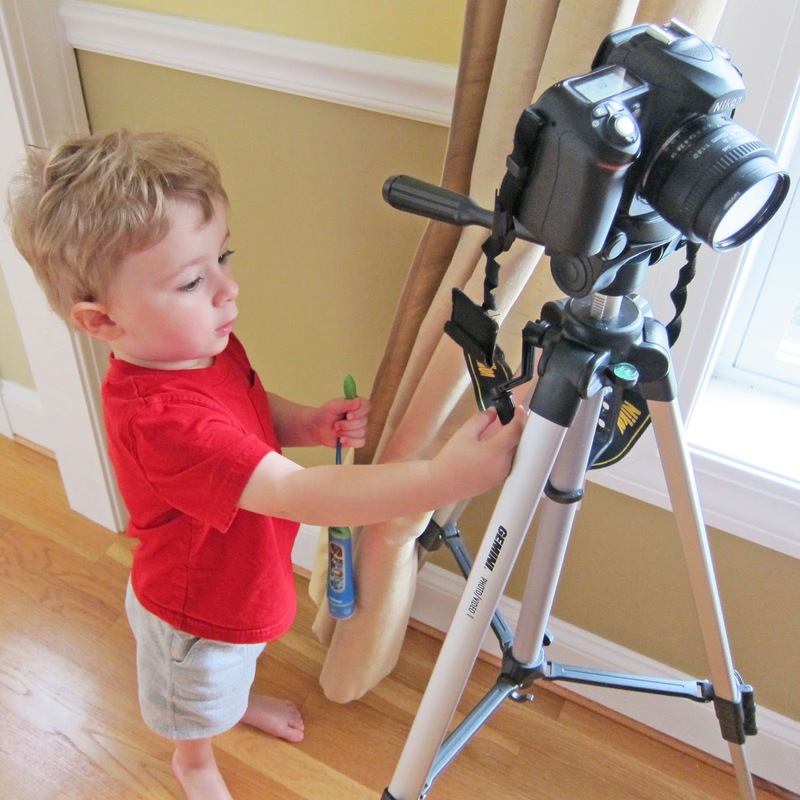 Here is my Chief Technical Engineer, he always makes sure my tripod is in working order by randomly turning knobs and waiting for a reaction. And here is my Assistant Photographer. She is in charge of taking test shots to make sure the camera is working properly and that my set looks good. I don't know what I would do without them. Well, except maybe take my pictures a lot faster. So how do you take your food photos? I'd love to hear from you.